Our processing and pre-screening insures you will receive a qualified Nanny that is selected based on your needs and expectations. We will deliver qualified, experienced candidates to your doorstep. Like other nanny agencies, we charge the family a one-time fee for a long term commitment. 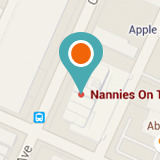 The agency fee is charged only after we successfully place a Nanny in your home. There are separate fees associated with the Nanny provider, (a Nanny generally charges between $15-$22/hr) and the babysitting services. We guarantee that we will confidently replace your Nanny within a six-month period at no additional cost. Our commitment is to make sure your caregiver is right for your family. We will be happy to provide you with a list of our professional screening questions. If you select the Unlimited Family Membership, you will have complete and unlimited access to our registry of Nannies and temporary babysitters in case of last minute emergencies or opportunities. For example, if you spontaneously decide you would like a dinner out with your friends or spouse, need emergency back-up or are traveling overnight you can sign onto our website, enter your password, go to the registry and choose one of our available babysitters. We are then happy to schedule any dates through the office. Although we cannot guarantee the same Nanny each time, we will always strive to book the Nanny of your choice. Nannies On The Go has a 24/7 call center that will quickly respond to your requests outside of the typical work hours. If you have previously paid for our permanent placement service, and your Nanny is still working with you, there is no additional charge for an Unlimited Family Membership and these services are included in your placement fee. If you only need our services occasionally, 3 or more times per month, this is the best value for your family. For temporary Nannies, we charge an annual registration fee of $100.00. We offer pre-screened, qualified sitters that will come to your home. If you call the Agency at 817 442-0225, we will forward available Nanny profiles to you and you can select the Nanny of your choice. Each sitter is scheduled for a minimum of four hours. Our fee is $30.00 per visit and is paid at the time of the booking. Permanent Full-time Nanny (35 hours/week) 10% of the gross annual Nanny salary, paid only one time, at the time we successfully place a Nanny in your home. Unlimited Family Membership Fee $1,000.00 – unlimited access to all temporary and overnight Nanny services at no additional agency fee. We cannot guarantee the same Nanny each time, but will strive to book the Nanny of your choice. Nannies on the Go cannot guarantee the same sitter each time. Temporary Sitter Services $100.00 annual Fee + $30.00 per visit. Hotel Sitter $30.00 per visit. We accept Visa, MasterCard and American Express as well as personal checks. For your convenience, you can also pay directly on line by clicking on our “Pay Now” page.